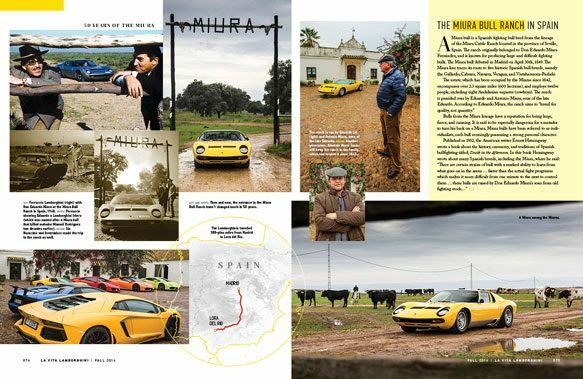 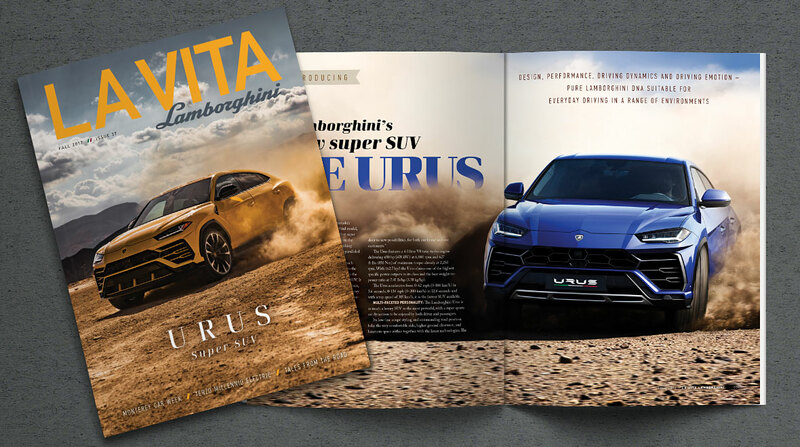 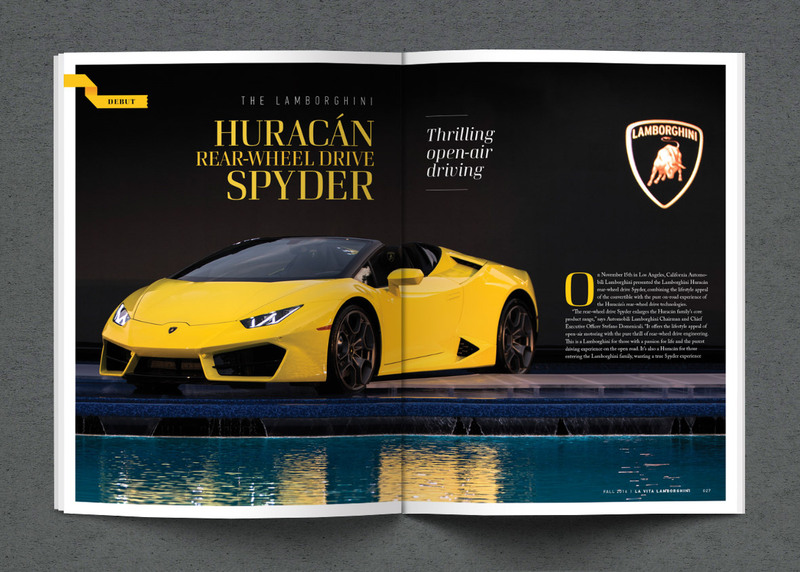 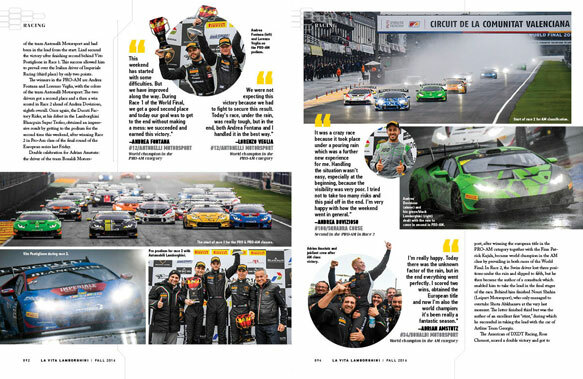 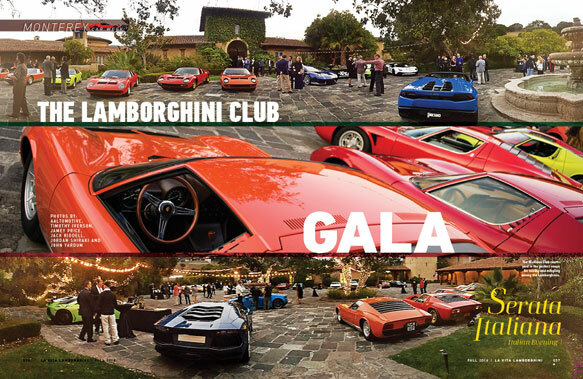 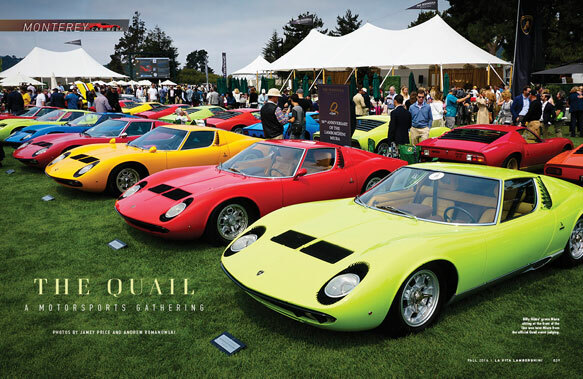 The magazine for the Lamborghini Club America features a sophisticated design with extra white space around elements to give it an upscale look. 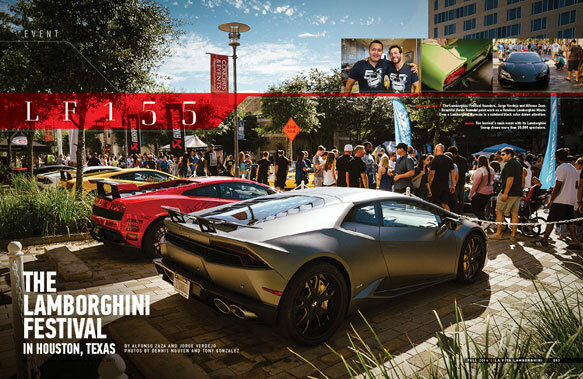 The high quality printing, from heavy paper stock to ultra-high photo resolution, reflects the quality product it represents. 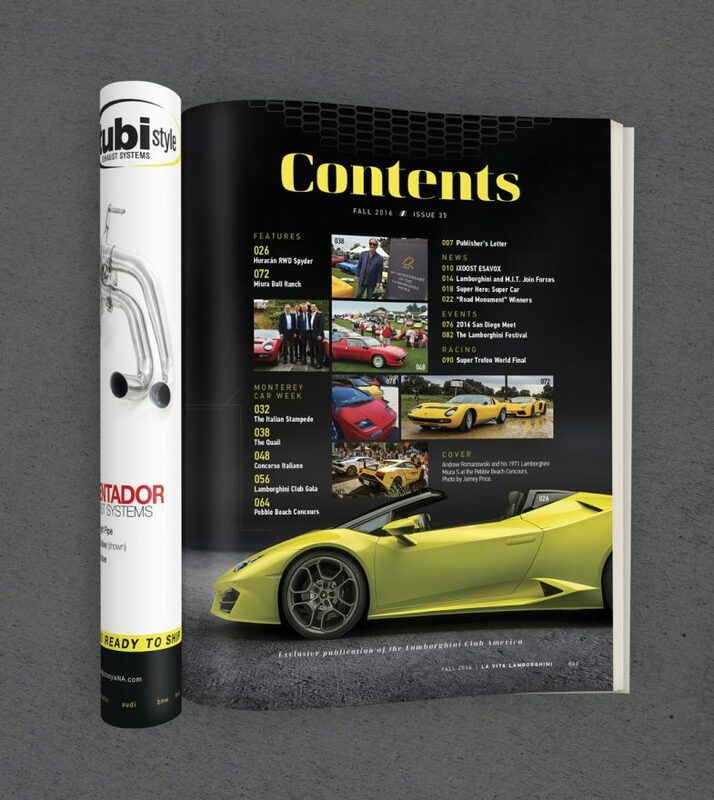 Each issue is perfect bound with a luxurious matte coating across the cover. 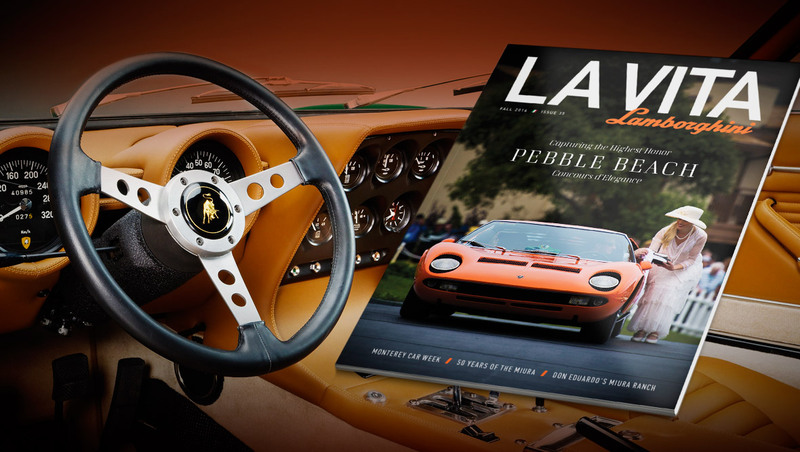 Spot gloss is applied to the cover’s featured automobile and logo to make them “pop” off the page. 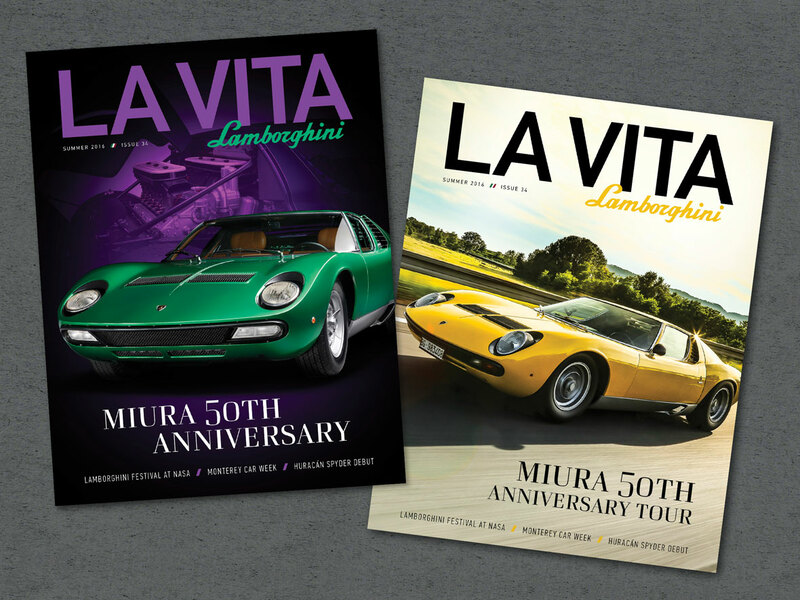 Illustrations and maps are provided in addition to the usual design, layout and prepress services.